Healthy Paws Pet Insurance—the #1 customer-rated provider of insurance for dogs and cats, today released the second annual Cost of Pet Health Care report, revealing how much pet parents are truly spending at the vet’s office. The report employs data from roughly 200,000 claims submitted by Healthy Paws pet parents from June 2016 to June 2017, and examines the most common accidents and illnesses for cats and dogs. An in-depth look at the traditional treatments and diagnostics used per condition are included, as well as symptoms and most importantly, their overall associated costs. The Cost of Pet Health Care 2017 report provides detail regarding the top 10 accident and illness claims for both dogs and cats, including the symptoms for each condition, pet parents’ personal stories with specific ailments and the related costs. According to the report, while veterinary science has developed at a rate similar to human medicine, the cost for such high-tech healthcare for pets can be quite a burden. 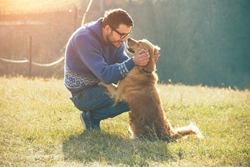 So while pets now have the opportunity to live longer and healthier lives, pet parents may struggle to pay the vet bills, making pet insurance an excellent choice. Furthermore, the report is free to download, so all pet parents and pet lovers can peruse the data and make informed decisions before enrolling in pet insurance. For the full list of top accidents and illnesses for cats and dogs and an in-depth look at the Cost of Pet Health Care 2017 report, please visit https://www.healthypawspetinsurance.com/cost-of-care. For more information about Healthy Paws Pet Insurance visit http://www.HealthyPawsPetInsurance.com. Healthy Paws is one of the leading pet insurance program providers in the U.S. for dogs and cats, and is ranked #1 by customers on leading review websites. Chubb, an A+ rated insurance carrier, underwrites its insurance policies. The Healthy Paws Foundation, a 501(c)(3) non-profit organization, provides cash grants to pet adoption organizations specifically for life-saving vaccines, spay/neuter surgeries and advanced medical treatments of homeless pets in their care. To learn more about their mission to save more homeless pets and how you can help, visit https://www.healthypawspetinsurance.com/how-we-help. For more information about Healthy Paws Pet Insurance, visit https://www.healthypawspetinsurance.com.